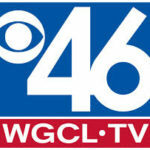 WGCL-TV CBS 46 News again solicited the expertise of CPT for a recent feature story on how cold weather poses danger to our pets. Jim Loznicka, CBS 46’s weatherman interviewed CPT President and Head Trainer Mark Spivak for the feature. The resultant feature included video of Mark discussing the profile of pet most at risk during cold weather months and strategies for pet owners to reduce the risks. This was Mark’s 4th appearance on WGCL in the last 6 months. To read a press release from WGCL, click the following link: http://www.cbs46.com/story/27156876/helping-your-pet-cope-with-winter. To read a detailed article by CPT regarding managing cold weather risks, please click the following link: https://www.cpt-training.com/preventing-cold-weather-calamities.